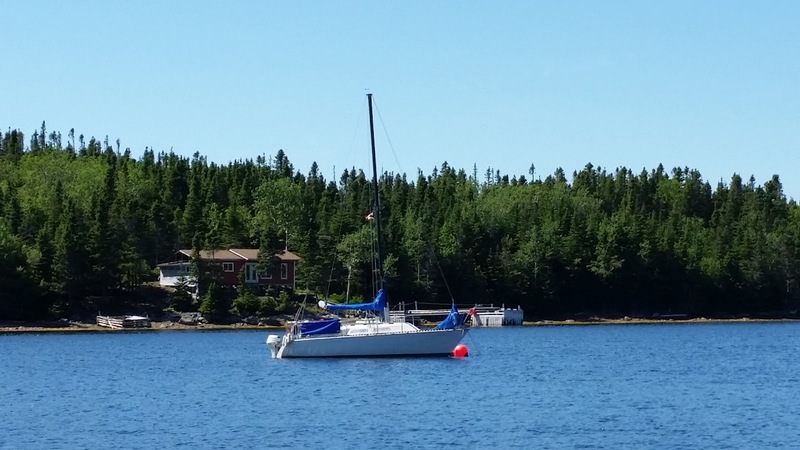 The PY23 is a well designed boat, nice to look at, easy to maintain, and fun to sail. The problem is, at only 22' 7", it is small. Storage is a challenge, and most adults can forget standing up in the cabin. Spending a weekend aboard is about all a cruising couple can endure. At least that is the case for us. My wife will only go out for a couple days, every couple of years, and with much arm twisting. 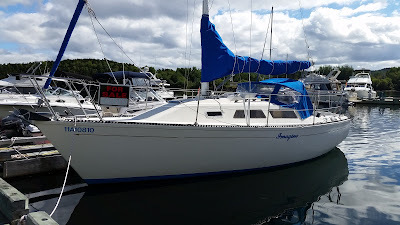 Before agreeing to spend more time boating, she has some demands like standing headroom all the way forward, a fully private head, running water, a refrigerator, and a stove with oven. None of these are going to be found aboard a boat that is comfortably within my budget. This means, if I want her to go cruising with me, that I must find something that makes her happy, and my bank account unhappy. The smallest boats that come close to ticking all the boxes are in the 26-28 foot range. Some of them are quite comfortable, and have a lot to offer. The prices are not too scary either at under $15,000 CAD. Unfortunately, I live on a large island with a small population, so there is not a lot to choose from at any given time. You have to keep watching the ads until something pops up. The first boat that caught my eye was a 27' 1980 Aloha 8.2. This was a familiar type vessel, since we had both sailed aboard a sister ship with friends back in the late 1990s. It feels roomy for the size, is well constructed, and a capable racer/cruiser. It was a 2 hour drive to go look at, but something to do on a Sunday. The exterior of the boat looked pretty good. The deck seemed solid, the stanchions solid, and only a couple of hairline cracks in the gelcoat. The engine is a recently rebuilt diesel saildrive. 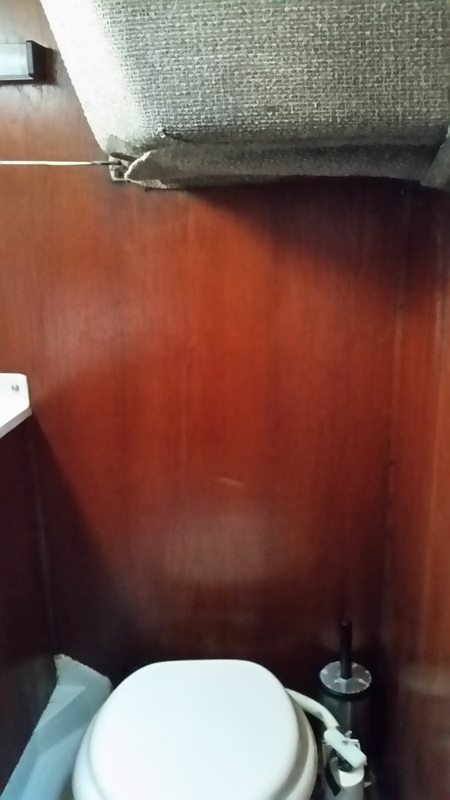 Most of the boat just required cosmetic repairs to things like the upholstery and dodger. The boat has a gimbaled Orico 2 burner stove with oven that we liked, but the icebox was cut out to install it, and the work was a bit rough. I'd want to rebuild the entire galley. This vessel was not totally taken off the list of possibles, but it was near the bottom. The next boat we looked at was an Edel 820. This is a fairly rare French design built briefly in Canada. This vessel had only one owner since new, and wouldn't have been a big financial stretch since he offered to take Serenity as part of the payment. It also met most of the requirements, this time with a 3 burner propane stove with oven. The list of things to do on this boat, however, would have been huge. I could not see even getting it on the water the first season. The aft cabin was an interesting idea, but in a boat of this size, it just made everything smaller. The biggest issue for me was the protrusion of the cockpit into the head. When seated, you had to lean forward, and in rough weather, you'd have to wear a helmet. All in all, I think I'd have to put more time and money into the boat than it was worth. Lack of sitting headroom in the head. 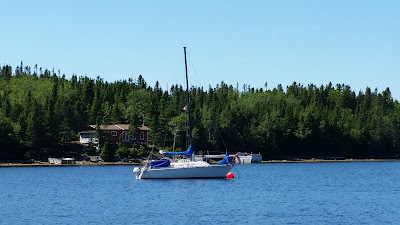 The third sailboat was another familiar vessel that we had spent a lot of time aboard with a previous owner. I learned how to sail aboard a Bayfield 36, but always preferred the 32C. This particular one had been fairly well maintained and upgraded. 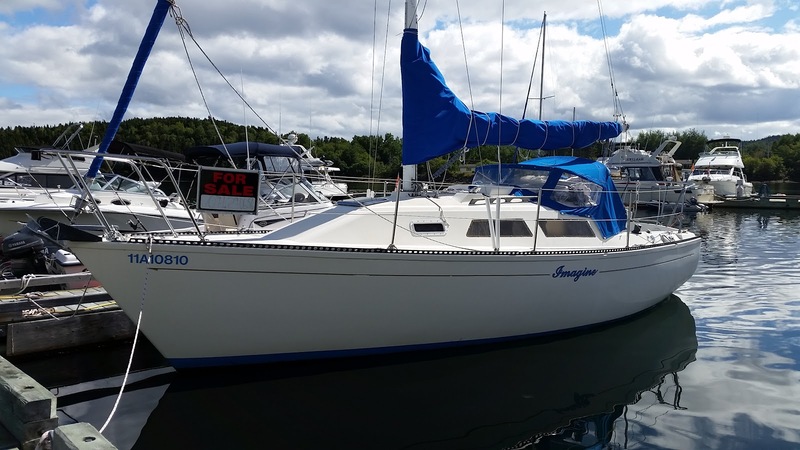 It could be the sailboat that took us into retirement, and beyond. It is also registered for international travel. 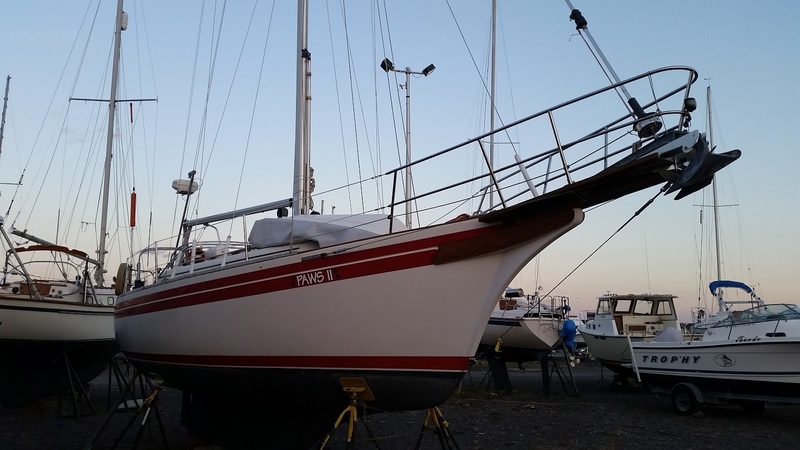 There are a few minor issues, since no 30 year old boat can be perfect, but nothing to hinder sailing. It doesn't have an oven, but since this was a factory option, it doesn't look too difficult to install one. The problem with this boat is the price. Asking $35,000 puts it more than $20,000 higher than any others we looked at. 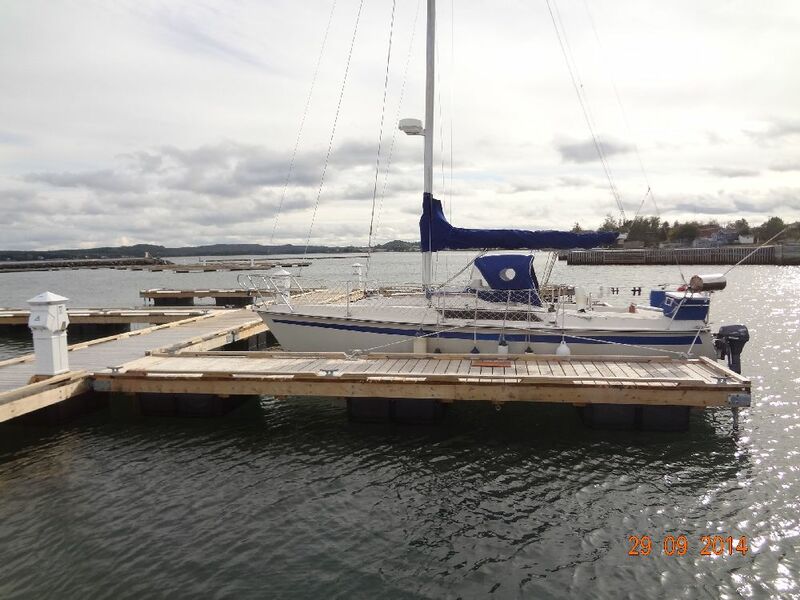 Being 30' long, we'd have to move to a more expensive dock. Without a trailer, we'd have to pay for the Travel Lift twice a year. A crane would have to be hired any time the mast had to be raised or lowered. Any repairs would be proportionally pricier than Serenity. We might be able to buy it, but not afford to use it. It was too risky. 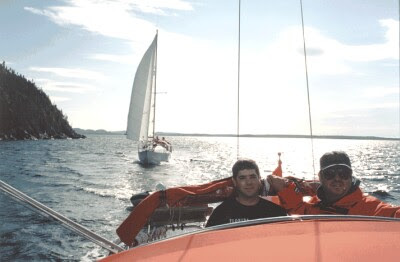 Me at the helm of Paws II c. 1998. I did put in a low offer, but even that amount of money, with the other fees and charges, plus the cooker upgrade, made me relieved it wasn't accepted. What we determined from a couple months of looking at the boat market was that a boat we can both agree on is around 30' (9m) long, and anything that doesn't require a lot of work is likely out of our price range. This means that Serenity will be around until either used boat prices drop lower, or our financial position improves. I'm ok with that. I don't mind sailing alone, and Serenity still has some projects I want to finish.